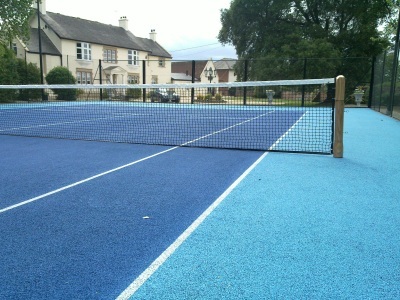 We offer a comprehensive range of outdoor and indoor dedicated tennis surfaces and 'Kids Zones'. 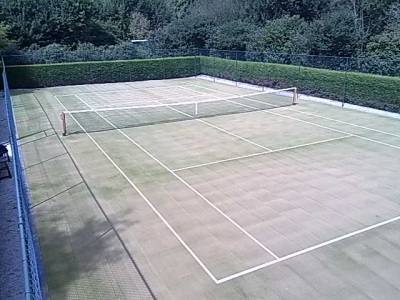 We refurbish and maintain all types of courts and our quotation, survey and inspection services are free of charge with no obligation. We recommend a double layer system if there is going to be intense play on the surface. This surface is ideal for clubs, schools and multi-play areas.It is free draining to quickly clear of water following rainfall. The most popular all weather surface due to minimum maintenance and affordability. 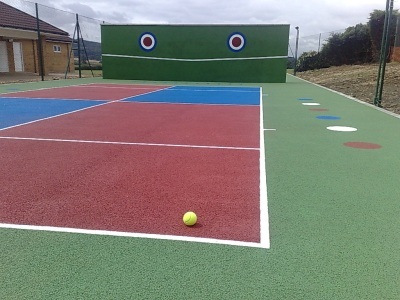 This is a porous open graded macadam, specially designed for tennis surfaces and is installed with a colour sprayed acrylic paint finish. It is free draining to quickly clear of water following rainfall. A cushioned synthetic grass surface brings to the most demanding players: consistent ball bounce, sound footing, excellent pace, coolness under foot and cushioned comfort. The Le Tournament Pro surface is great in appearance with exceptional comfort and security. A high quality porous artificial grass surface with a silica sand fill. It has been engineered to play with the feel of natural grass. Le Tournament requires little but often maintenance and does not need to be watered in the summer months. Poraflex™ is a high performance water permeable cushioned acrylic surface which is extremely useful in rainy climates. The cushioning mat is made to a uniform thickness. The Proflex™ system comprises a high quality 6mm* rubber mat and specially formulated spray coatings resulting in a surface that has optimum cushioning with the added advantage of porosity. 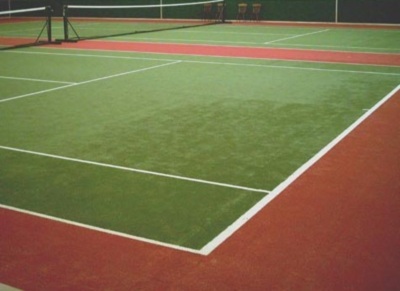 Proflex PU™ is a site applied, cushioned multi-purpose indoor surface. It remains point elastic due to the resilient nature of the prefabricated rubber mat with a polyurethane wear layer and top coat.